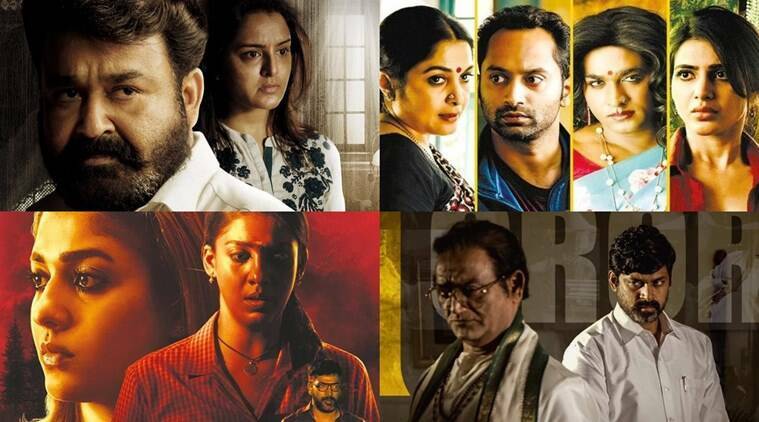 The last week of March will see the release of some of the most-awaited films of 2019 including Mohanlal's Lucifer and Nayanthara's Airaa. It is clash of the biggies down south. After not-so-eventful first four weeks, the South Indian film industry is set to end the month of March on a strong note. A few of the most-anticipated movies of 2019 will hit the screens this week starting Thursday. First up, Malayalam superstar Mohanlal’s Lucifer. The revenge drama set in the backdrop of political upheaval is the directorial debut of actor-producer Prithviraj. If the recently released theatrical trailer is anything to go by, the first-time director seems to have whipped up an engaging, stylish political thriller that will please the core fan base of Mohanlal. Prithviraj has put together a formidable star cast to support his ambition of becoming a successful filmmaker. The support star cast includes Manju Warrier, Tovino Thomas, Indrajith Sukumaran, Saniya Iyappan, Saikumar, Kalabhavan Shajohn, Vivek Oberoi and Nyla Usha among others. Screenwriter Murali Gopy has written the film, which is produced by Antony Perumbavoor. It will hit the screens on March 28. Starring Nayanthara in the lead role, Airaa is a horror drama. As opposed to Kollywood’s new-found fascination with half-witted horror-comedy, which has proven to be a huge hit at the box office, director KM Sarjun seems to have picked the genre of horror to shed light on the society’s bias against women even in this day and age. Nayanthara has played a double role for the first time in the upcoming film, which is Sarjun’s second feature. The director made a mark in the industry after making feminist short films such as MAA and Lakshmi. The film will open in cinemas on Thursday. Director Ram Gopal Varma’s upcoming film Lakshmi’s NTR is based on the political struggles of movie-god NT Rama Rao. RGV has promised that he has made a biopic that shows the truth, the whole truth and nothing but the truth. It is a counter-film for two-part NTR biopic – NTR: Kathanayakudu and NTR: Mahanayakudu. The earlier films were produced and acted in by NTR’s son Balakrishna. While the two-part biopic portrayed NTR as a messiah, RGV’s film promises to show that NTR was just a human who made mistakes. Starring P Vijay Kumar as NTR, the film will hit the screens on March 29. It is easily one of the most-awaited films of 2019. In addition to having a stellar star cast, the film managed to generate interest among moviegoers due to the formidable reputation its director Thiagarajan Kumararaja achieved through his first film Aaranya Kaandam in 2011. He has co-written the anthology film with other reputed Tamil directors – Mysskin, Nalan Kumarasamy and Neelan K. Sekar. The film boasts of Vijay Sethupathi, Fahadh Faasil, Samantha, and Ramya Krishnan in its star cast. Mysskin has also played a lead role in one of the stories in the film. It will open in cinemas this Friday.